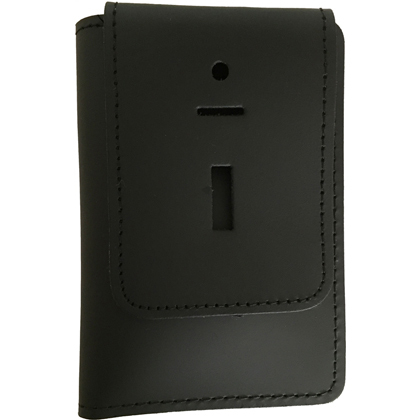 This universal leather book style badge holder will hold a badge on the front and allow you to flip the badge up. Two windows are available for picture ID or credit cards inside. Holds both clip style or pin style badges. 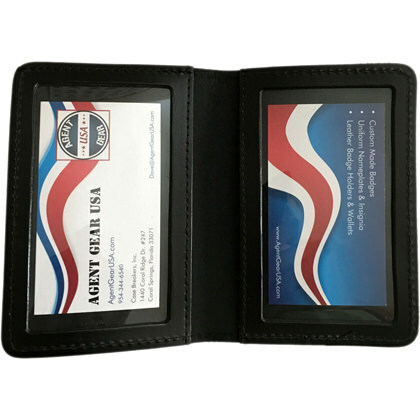 This badge holder will virtually hold any style badge and is incredibly versatile!